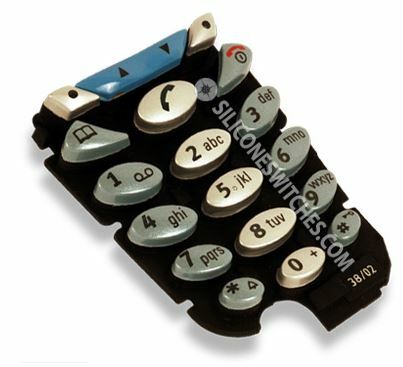 Plastic keypads can be molded in a variety of different shapes and contours and then placed on a conductive rubber keypad base. Creating a custom keypad with plastic keycaps enhances both the feel and appearance of the conductive rubber keypad. Northpoint Technologies can help you with designing your conductive rubber keypads with plastic keycaps or any other type of conductive rubber keypads and silicone switches. Keytrees can be rubber keypads or plastic base arrays, which are manufactured to allow independent plastic keys to attach or rest on top of base. Northpoint Technologies can help you in the design and development of conductive rubber keypads that require plastic keypads and plastic keycap arrays.